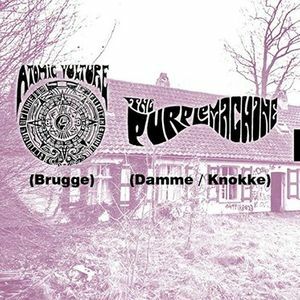 Atomic Vulture is an instrumental three-piece stoner/space rock band from Belgium, formed by Pascal David (guitar), Kris Hoornaert (bass) and Jens Van Hollebeke (drums). They sound old-school, dusty and they rock like the center of the sun. Heavy, swirling grooves, thunderous driving beats and some seriously hot bass lines. 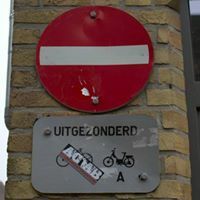 Their tracks have a divine atmosphere often swinging between fuzzed out grooves and a more ambient style, not forgetting to add some psyched or even doom aesthetics from time to time. 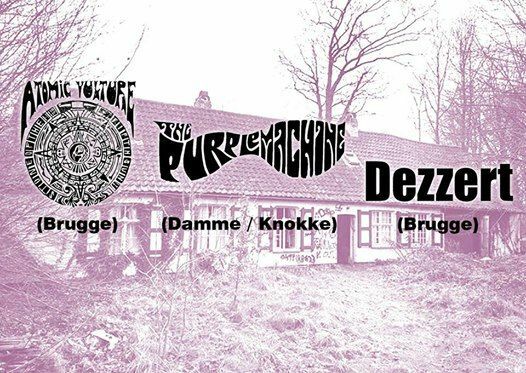 The Purplemachine is a new local psych-rock band with influence of garage/punk and doom. Trigger price: 5 euro (all money goes to the bands).